Vita Vite owner Lindsay Rice engaged Rich Commercial Realty to assist her with locating and purchasing a property for her art gallery and wine bar concept. The goal was to find a property with a location that would appeal to her customer base, fit her style, and be an investment for her future. Lindsay was in need of a space large enough for her customers to visit and appreciate both a large selection of wine and multiple displays of art and also provide an event space and catering kitchen to host larger private events. RCR combed the market and looked at spaces in several different submarkets in Raleigh with Lindsay and some of her creative partners. 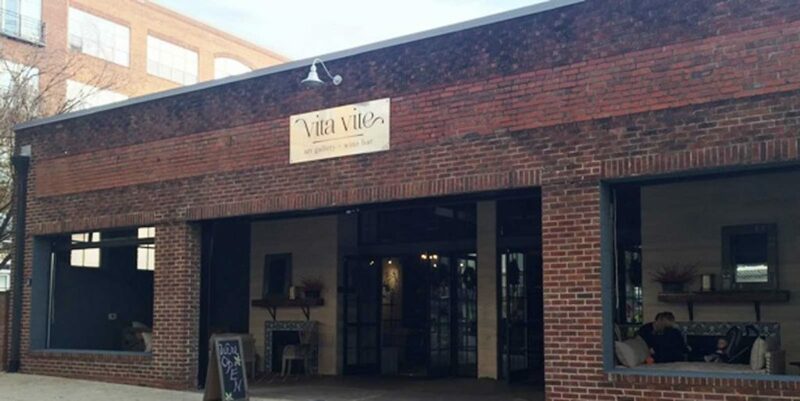 It was determined that the Warehouse District of downtown Raleigh provided the creative and hip feel that Vita Vite sought. Many projects in the area such as Union Station, the Citrix campus, and the Dillon project have made this submarket desirable and therefore difficult to find real estate. RCR was able to find an off market building and negotiate with the owner to help ensure Vita Vite had the perfect home. Vita Vite was able to acquire one of the few remaining vacant stand alone buildings in the warehouse district. 313 West Hargett Street went through an extensive renovation with Rock Creek Builders and is now one of the more elegant and impressive spaces in the Warehouse District and a very welcomed addition to downtown Raleigh.